(ĐTTCO) - The pressure to raise chartered capital in banks has increased as the deadline for applying for Basel II is nearing. However, sale to strategic partners faces many difficulties as the local fund supply is far below banks’ demand. (ĐTTCO) - The current compensation and resettlement process for owners of repossessed lands faces many difficulties and several disputes. The inflexibility of the prevailing regulations have caused delays in some projects and consequently impacted people’s benefits. (ĐTTCO) - Van Don (Quang Ninh Province), Da Nang, Phan Thiet (Binh Thuan Province) and Nhon Trach (Dong Nai Province) are some hotspots where land fever has taken hold recently. Investors and speculators are rushing to these locations in great numbers, while brokers and middlemen jostle to compete and lift up land prices. (ĐTTCO) - After one year, the construction of the fourth floor of An Binh Hospital, located at 146 An Binh Street, Ward 7, District 5, Ho Chi Minh City, is finally complete. This is the first hospital that has received a huge non-refundable donation of VND 450bn from a benevolent private conglomerate, the Van Thinh Phat Group. (ĐTTCO) - The Ministry of Transportation (MoT) and Committee for Management of State Capital (CMSC) have appointed the Airports Corporation of Vietnam (ACV) as investor of T3 terminal at Tan Son Nhat international airport. This decision has aroused controversy among people. (ĐTTCO) - According to the Institute of Energy, Binh Dinh and Phu Yen are two provinces with excellent conditions for setting up solar power plants. In the last few years many investors have built plants in these two places, making them the country’s green power hub. (ĐTTCO) - Vietnam’s bond market has picked up pace since 2011, driven by rising needs of governments, cities, banks and corporations. (ĐTTCO) - The Enterprise Law in 2014 contributes positively to the formation of a favorable and fair business environment, motivates the establishment, growth and expansion of enterprises. Since 2014, both the number of new enterprises and total registered capital have been increasing annually thanks to the simplified procedure and the improved regulation on protection of investors and shareholders. 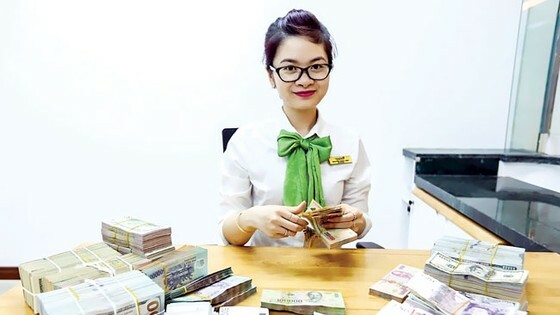 (ĐTTCO) - Though the Vietnamese stock market has been developing to some extent in the last few years, mobilisation of funds for the economy has been mainly dependent on the banking system. (DTTC) - Recently, Clermont Group (owner of Hoan My Medical Corporation) has appointed Ms. Vu Thuy Anh as Chairwoman of the Board of Directors of Hoan My Medical Corporation.